The importance of the roll of Money in our economy is not fully understood by the majority of us, ironically because we are so involved in making sure we have enough to satisfy our personal needs, we don't have time to question what in fact is money itself. Money is basically a measuring tape, a way to measure the energy we pay to acquire a service or product with the money we received for spending our energy manufacturing or performing a service for others. 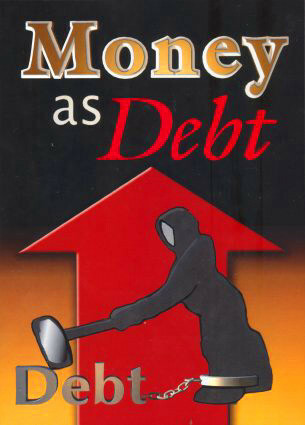 Money is an energy measuring device, therefore it's important what sort of money we use in our daily lives to trade with others. The US Dollar has been since 1944 the assigned international trade currency to measure global trade among countries, as bankers call it a "reserve currency" given the fact most countries have to hold it in their vaults in order to purchase and trade with others. This seems practical but it gives the country issuing the "reserve money" an advantage over everybody else, because by being the only one who can generate at will its own currency and purchase all other countries goods and services while being accepted without question, the incentive to cheat is great, especially when as today is not even necessary to actually print the money any more, and by merely punching numbers in a computer.... trillions of dollars can be created digitally in a few seconds, without the intense effort to manufacture any goods or offer any services. 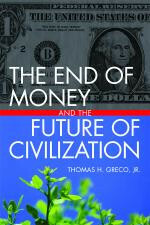 Furthermore, the fact money is generated by a single country is bad enough, but if we add the fact that country also controls the form the transactions to buy and sell take place as is the case of the SWIFT system, then the incentive to control other countries by "sanctioning" them and forbidding them to have any transactions with other countries is what United States has been abusing for decades and why the BRICS countries are creating a parallel financial system where this can't be done, bypassing the obstacles the US is imposing. After Nixon in 1971 refused to continue backing the US dollar with gold as stated by the Bretton Woods agreement, then the US went to the Saudis in Arabia to threaten them with an invasion unless they demand all payments for oil in US Dollars, forcing in this way all countries importing oil, which are the majority, to continue to keep in their reserves US dollars. It worked but the Saudis are no longer the only ones selling oil in great quantities. Today we have the Russians, the Venezuelans, the Iranians who are great producers of oil and refuse to continue letting the US to manipulate the oil trade, and keep sanctioning whoever they want to "punish" for not obeying their orders. This is the reason every time an oil country drops the US dollar as its payment method, the US invades or assassinates its leaders, as happened to Saddam Hussein in Irak and Gaddafy in Lybia when they did, but this time Russia has enough nuclear bombs as a deterrent to be bullied by USA and so Uncle Sam has to modify its approach. The frustration in US is huge after their plan to do a Coup against Assad in Syria was blocked by Russia and now a similar event is happening in Venezuela where the attempted Coup appears to be fizzling off without its conclusion. 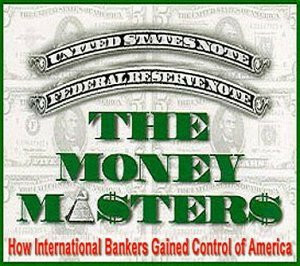 THE USA WITHOUT ITS US DOLLAR RESERVE STATUS will collapse as an empire and as soon as its currency is replaced by another "reserve currency" the trillions of dollars held in all the worlds central banks, will be exchanged and where will those dollars will travel to? they will go back to the USA and create a huge inflation as described in the video.